So, I thought I'd show you a few people I've known, as I have indeed been "lucky" to have come in contact with these fine people over the years and feel that I owe them all a little tribute here on my newest low-key weblog. 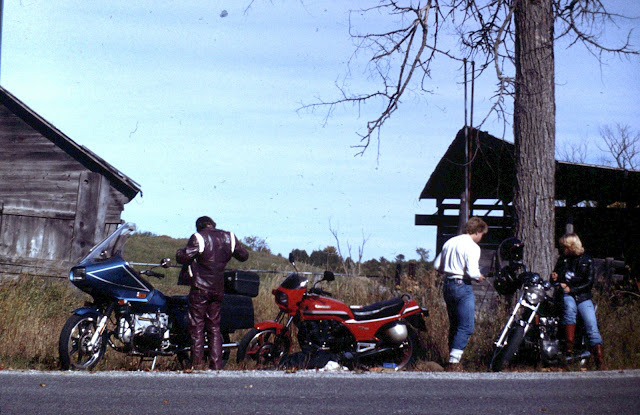 This one shows DaveB with his cool 750 Beemer, MikeM with his racy 5 and half Kawasaki and Dawn, on my 650 Yammy Special. Backdrop here was an old farmstead way back in the boonies that we explored a little off the bikes. 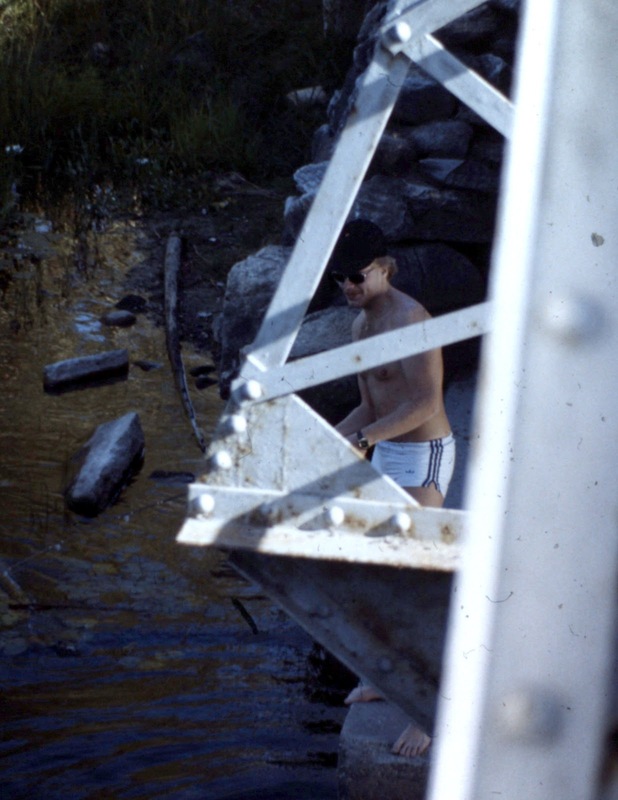 Under the bridge, test'n the waters of the mighty Mississippi River, biking/fishing buddy MikeM, adventure seeker getting real with it... Go Mikey! Pictures bring back so many memories of our pasts, who we were then, what was in our minds and who we loved to be around, for instance. Do you have some pictures around somewhere that you haven't looked at for awhile? Dig them out and spend some time seeing once more, where you were and with who, doing what. Could be a pretty fun evening and guaranteed to bring a smile to your face and perhaps a laugh or two even.